As a maritime country, Indonesia has rich seafood products. The combination of fresh seafood and signature Indonesian recipes is indeed undeniable for seafood lovers. For seafood lovers, these 10 best seafood restaurants in Jakarta are must-visit places to pamper your appetite. From fresh crabs to thick-meat grouper, find your favorite seafood dishes at these famous seafood restaurants! Good ambience, nice seafood dishes, and a nice view are such a perfect combination, isn’t it? 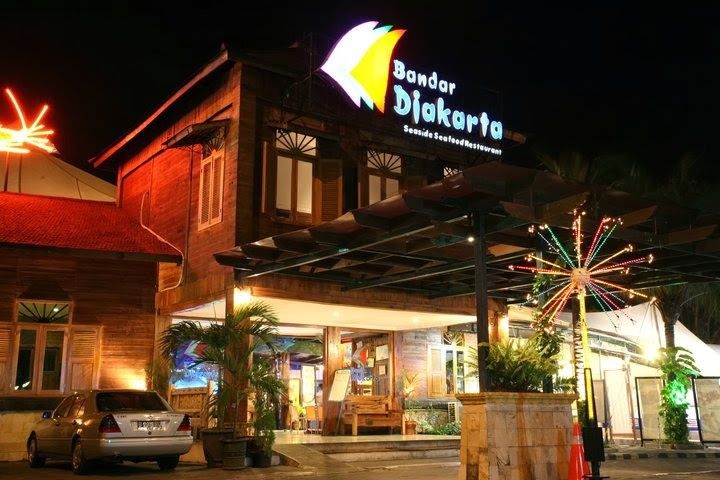 If you’re looking for a seafood restaurant with these qualities, Bandar Djakarta Ancol is a right choice for you. Famous for its live seafood to choose and cooked by your preference, Bandar Djakarta is a perfect choice for you to enjoy high-quality seafood menu with your beloved ones. From shrimp, fish, crab, to oysters, just pick your favorite! They also serve another menu such as chicken, beef, and vegetables for you to enjoy. 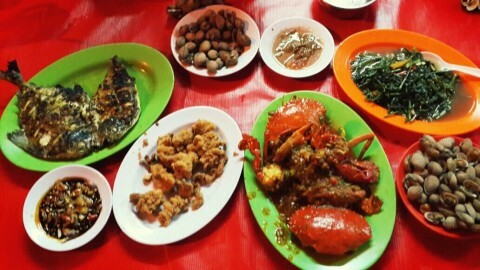 Located in Pintu Timur Taman Impian Jaya Ancol, this restaurant offers you endless indulgences for you seafood lovers. Reserve now via 021-6455472 to secure your favorite spot, choose your favorite menu, and enjoy! Click www.bandar-djakarta.com/ancol for more info. If you love crabs, this restaurant is a right choice for you. 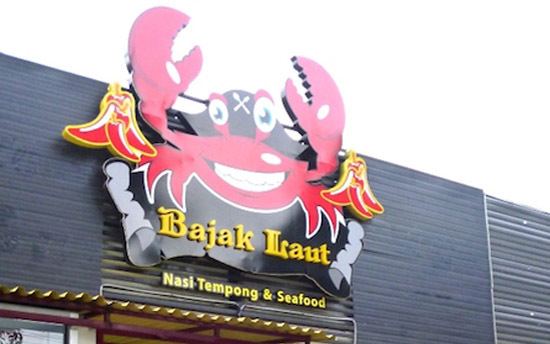 Bajak Laut Seafood has several signatures crab menu such us Kepiting Lada Hitam (Black Pepper Crab), Kepiting Tom Yam (Tom Yam Crab), and Kepiting Asap Ala Bajak Laut (Smoked Crab a la Bajak Laut). You also can try Cumi Bakar Kecap (Grilled Squid in Soy Sauce) and Udang Gala Bakar Madu (Grilled Lobster with Honey). Allergic to seafood? Don’t worry; you can also try Toge Bawang Putih (Beansprout with Garlic) or their signature Terong Sereal (Fried Eggplant coated in Cereal). They’re all worth to try! The menu in this restaurant is also quite affordable. Start from IDR20,000, you can enjoy your favorite seafood menu in this restaurant. You can find this restaurant at Tanjung Duren and Menteng. 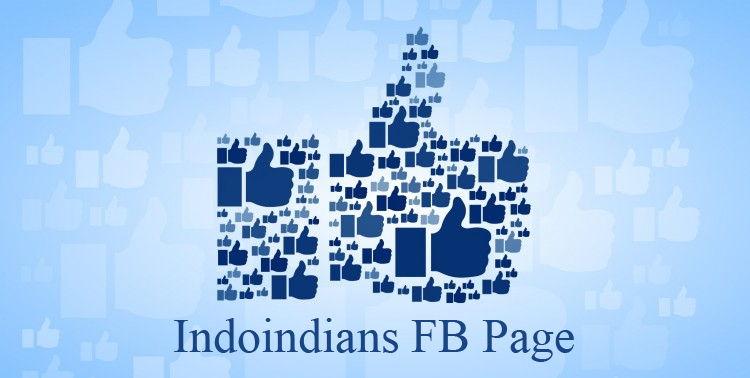 Catch up with their latest updates on Facebook Bajak Laut Seafood. Seafood Wiro Sableng is one of the famous seafood restaurants in Jakarta. This restaurant is located at Jalan Raya Boulevard Kelapa Gading (near Mall Kelapa Gading 3). 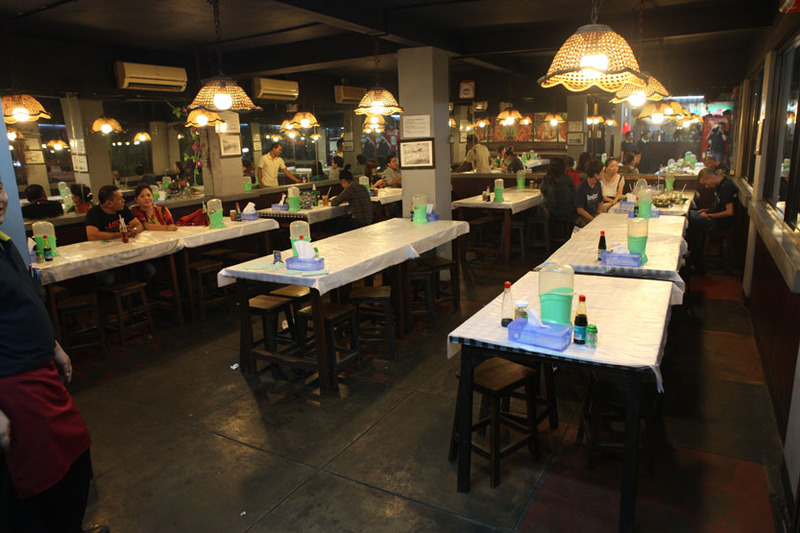 Seafood Wiro Sableng is also counted as a legendary restaurant in Kelapa Gading, despite its small place. Grilled squid, black pepper crab, and calamari are only a few of its signature dishes. You also can try their other menus such as prawn, oysters, mussels, and fishes. The price is also very affordable—majority of the menu are below IDR30,000. Reserve now via 021-45846930 and enjoy the seafood galore! If you want to experience a unique way to enjoy your favorite crab menu, this is a perfect place for you. This restaurant is famous because it serves their crab menu just on the top of dining table—without plates or bowls. The waiters will provide you with apron and crab crusher, so you can enjoy your crab in your own way. The edgy design interior and nice ambience will also add the reason why you must visit this place. The main menu is, of course, crab. You can choose your favorite sauce—salty sauce, original, or you can choose the hot and spicy sauce. You also can choose among rice, corn, or potato. All menus are quite affordable for the menu, service, and experience you get in this restaurant. Cut The Crab so far has three branches in Jakarta, at Senayan, Pantai Indah Kapuk, and Kelapa Gading. Visit www.cutthecrab.com for more information. Like its name, this restaurant offers you with seafood menu as well as Balinese cuisine. You can feel the unique Balinese ambience in this restaurant and of course, their signature dishes! 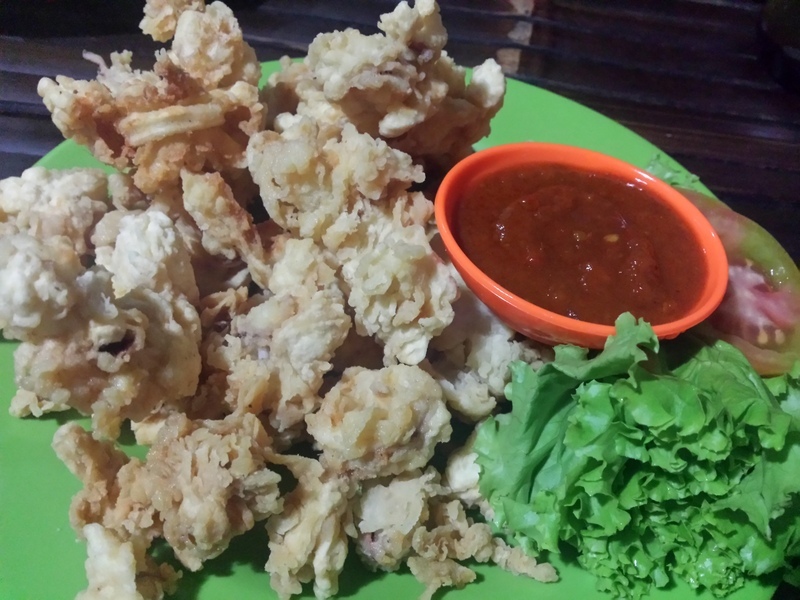 Cumi Telor Bumbu Bali and Kepiting Saus Jimbaran is the must-try menu. 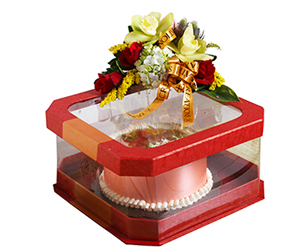 This restaurant also has many branches, so you can choose the nearest branch from your place. These branches are located in Gading Serpong, Muara Karang, Gunung Sahari, and Harmoni. You can make reservation by phone 021-29001402 (Gading Serpong branch), 021-66601901 (Muara Karang branch), 021-98998871 (Gunung Sahari branch), or 021-3456991 for Harmoni branch. 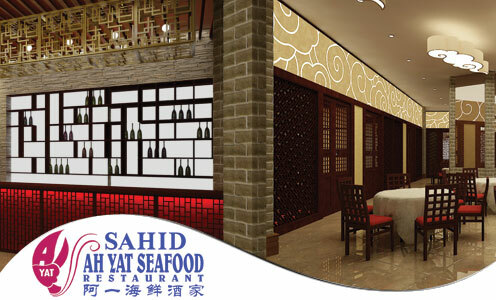 If you are an avid lover of seafood and Chinese cuisine, then this place is like a heaven for you. This restaurant is counted as the best Chinese seafood restaurant in town. Even though the price is quite higher than other seafood restaurants, the signature dishes with their authentic spice will make you visit this place again, again, and again. Besides its delicious menu, the place and ambience also very nice if you dine in with your family or colleagues. On top of that, the restaurant manager will check you every once in a while to make sure you receive the best service from this restaurant. Reserve your seat at 021-5732888 or just come to Sahid Ah Yat Seafood at Grand Sahid Jaya, Jalan Jenderal Sudirman Jakarta. Makassar, South Sulawesi, is famous for its seafood products and its authentic culinary heritage. But if you really crave for Makassar food, no need to book your flight to Makassar. Just come to Dinar Seafood and choose your favorite menu. You can find Ikan Kudu-Kudu in this restaurant because this kind of fish is rarely found in other seafood restaurants. This fish has hard skin, but the meat is so soft and spongy. The boneless meat is perfectly blended with the unique seasoning from Makassar, so it is really worth to try. You also need to try Gulai Kepala Kakap khas Makassar and Kepiting Lada Hitam to pamper your cravings. This restaurant has two branches, at Pluit Raya Jakarta Utara and Taman Palem Jakarta Barat. 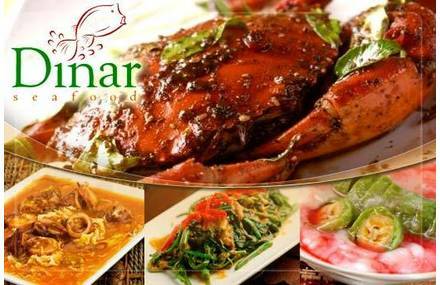 Make your reservation by phone at 021-66698363 (Pluit branch) or 021-5561331 (Taman Palem branch), or simply visit www.dinarseafood.com for more information. Do you know HolyCow! Steakhouse? If you do, maybe you’re also familiar with this restaurant, because both owned by the same person, Chef Afit. But if you don’t, that’s okay. You only need to try the signature lobsters menus in this restaurant because it’s seriously delicious! 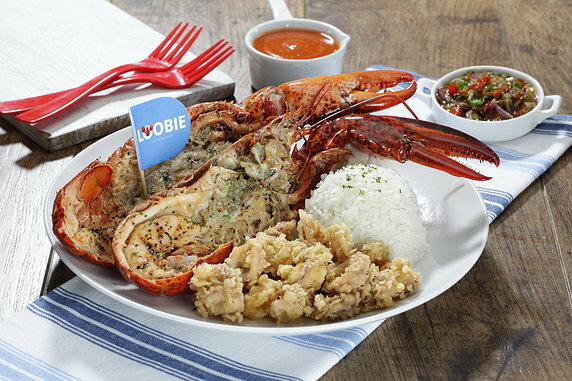 According to Loobie Lobster official site, the uniqueness of this seafood restaurant is its signature Sambal Matah. Sambal Matah is Balinese sauce made from chili, onion, shrimp paste, and lime juice. This hot and spicy sauce is a perfect mate for Loobie Lobster’s delicate lobster and another seafood menu. 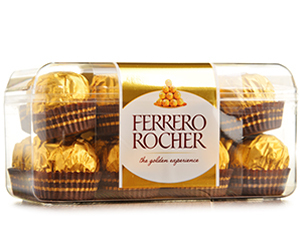 Really mouth-watering, isn’t it? 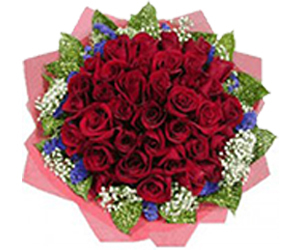 Go visit its branches at Jalan Gunawarman or Jalan Bakti No. 15 Jakarta Selatan or click www.loobielobster.com for more information. 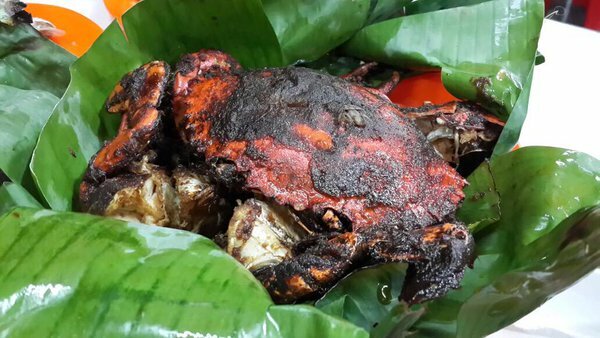 Jakarta is really a ‘heaven’ for you who love crabs. Jemaji Smoked Crab is indeed a must-visit place if you want to try a different kind of crab menu. This restaurant is famous with its Kepiting Kalimantan. One of the signature menus is Kepiting Asap Juhi with special seasoning from Kalimantan. You can also choose other sauces such as black pepper, Padang sauce, mango sauce, or oyster sauce. 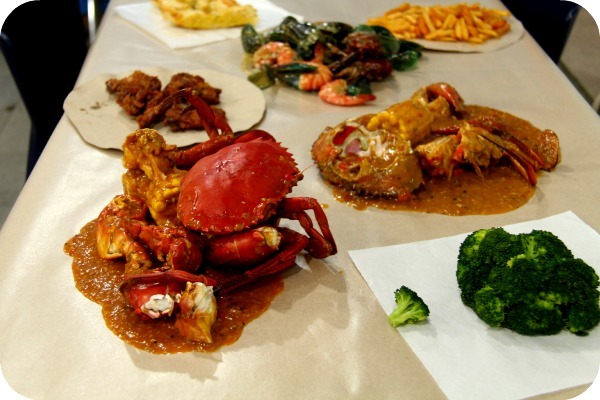 Don’t worry, if you don’t like crab and want to eat other seafood, this restaurant also serves squids, fish, and prawns to satisfy your seafood crave. Visit their restaurant near Taman Palem Lestari, Cengkareng, Jakarta Barat and be ready to get addicted. If you want to try a different taste of seafood menu, try to come to this restaurant. Located at Jelambar, Jakarta Barat, this restaurant offers a wide range of seafood recipes from Bangka. You can try stingray lempah (fish in yellow soup), grilled stingray, and scallop soup. You can get a glance of the rich Bangka culinary heritage at this restaurant. You can also try their other menus such as calamari and steamed grouper fish. One thing for sure, you would go to this restaurant over and over again because of the unique menu. Visit the restaurant on Jalan Hadiah Blok F VII Jelambar, Jakarta Barat. Bon appétit! Seafood is all-time favorite food for everyone. 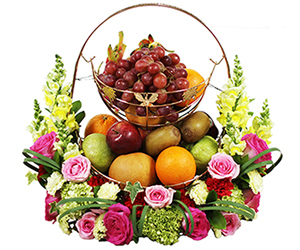 It’s not only delicious but also contains many minerals and nutrition you need for your body. You just need to find your most favorite seasoning and style of cooking to enjoy your favorite seafood dishes. And of course, you need to put these 10 best seafood restaurants in Jakarta to your where-to-eat list!